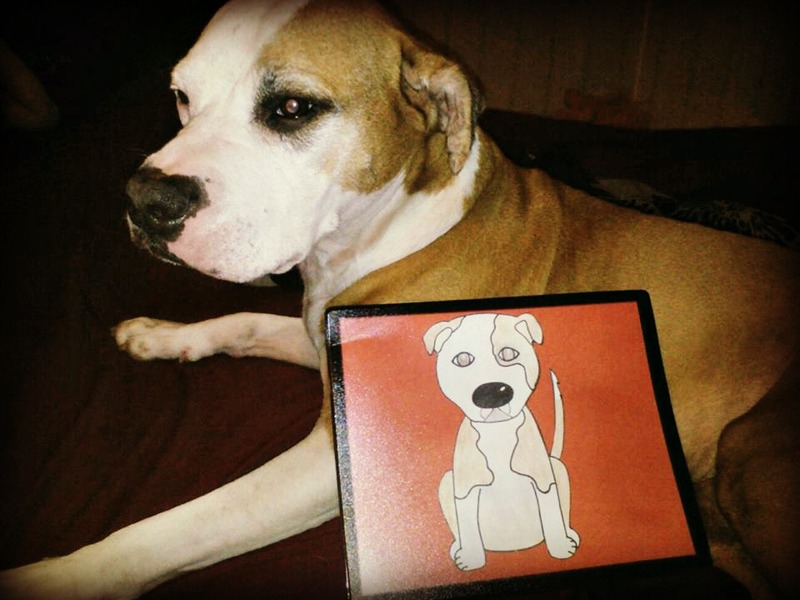 My daughter, Lily, was pretty amazed by the cartoon of Shiner and she's been talking about how awesome it is and trying to draw her own cartoon dogs. I also bought a keychain from Mollie & Alfie's shop. My mouse mat and keychain arrived just in time for Father's Day. 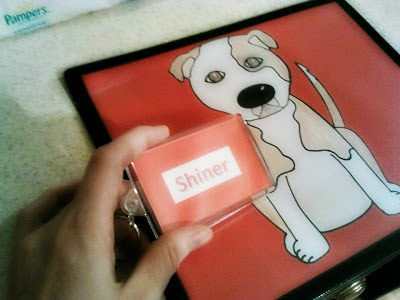 Shiner's dog daddy is going to be getting the most use out of both of these items. I only use my laptop and almost never use a mouse. He didn't have a mouse mat for his new computer and he really liked this one. He also drives the car the most, so he'll get to sport the keychain more often than me. There are lots of other great items in Mollie & Alfie's shop that are handmade, unique, and reasonably priced. If you've never been to Mollie & Alfie's place you can visit their blog & shop here. They are also on Facebook so be sure to stop by and give them a like! Thank you Mollie & Alfie - we love our stuff! You guys did an amazing job with the drawings! Shiner gives them 4 paws up. Me too :) Thank you Gizmo I love it too! That is a super mouse mat with Shiner on it. Mollies' mum is very clever. Have a tremendous Thursday. Clever indeed! My daughter was quite impressed. Have to go check these out because I am crazy for Shiner's cartoon. It's perfect! 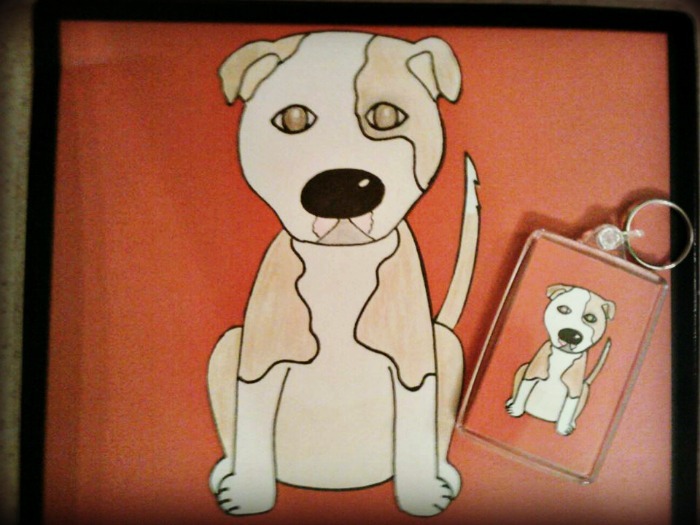 That is an AMAZING likeness to Shiner! Mollie did a FANTASTIC job! I know - it's so awesome! Shiner, that is so cool and so you pal!!! That is a great cartoon! Mollie is so talented. That's a super cute cartoon-Shiner - it's unique and just GREAT! It's a perfect likeness, Miss Ann! I love it! shiner...thatz WAY total lee awesum...mollie N alfie dida grate job !!! conga ratz on winnin this prize !! How cute!! Molly and Alfie did a great job! 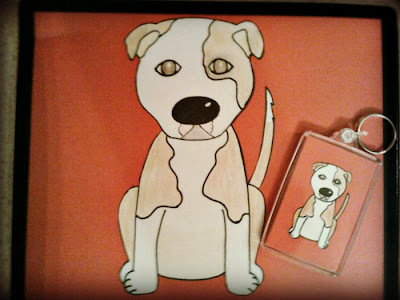 The mouse mat and keychain look great, Molly and Alfies Mum does some great stuff. That is a terrific likeness, even for a cartoon!! Oh wow! That's a great likeness! How cute! Congrats! Mollie & Alfie's Mum is the best! I love Shiner's portrait. We LOVE it! Congrats. Be sure to check out our Peach Industries giveaway on Friday. It is great! We have a mousepad of us too and we love it! I hope I didn't miss a post of your mousepad :( I don't think I've seen it yet! That is one pawsome looking mouse pad!